National Family Health Survey-4 (NFHS-4) has come out with data that points to Chandigarh women being the fattest across 26 states and Union Territories (UTs) in the country, with 42% in the age group of 15-49 falling in the obese category. Also, they score second on the anaemic list with 76% considered to be affected with the disease. The Society for Promotion for Youth and Masses (SPYM) conducted the fieldwork for NFHS-4 in Chandigarh from May 14 to June 24, 2016. Information for the survey was gathered from 751 households that included 746 women and 120 men. Puducherry (37%) and Andhra Pradesh (33%) are second and third on the position of obese women across the country. “Studies from Chandigarh have shown that obesity is the major problem in the city. Most women are physically inactive and there is a shift from traditional food to junk food. They should start eating healthy and should make physical exercise, a part of their routine,” said JS Thakur, from School of Public Health, at the Postgraduate Institute of Medical Education and Research. 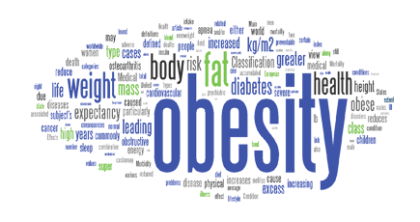 “All lifestyle diseases like diabetes, hypertension, and cancer are directly associated with obesity. Breast cancer rate in Chandigarh is also highest in the country and it has direct association with obesity,” he added. The survey also found that 32 percent men are overweight or obese, as reported by HT.